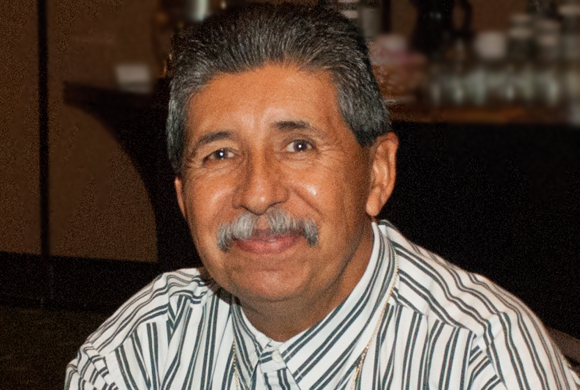 Dr. Orlando Barela is the Senior Pastor of Household of Faith Family Church in Orange, California. He was born and raised in Santa Ana, California. After a life of running the streets in gangs, drugs, crime, and finally becoming a product of the streets. Dr. Barela has gone from a Mess to being Blessed, from using Dope to bringing Hope, and from Disaster to Pastor. In 1980, Orlando gave his live to the Lord and he’s never been the same. In 1982, Orlando entered into ministry as a Jail and Prison Evangelist, working with drug-addicts, alcoholics, broken homes, ex-cons, gang-members. In 1990, Dr. Barela and his wife Elizabeth pioneered Household of Faith Family Church in Orange, California. He has received Associate of Arts in Theology from Vision Christian College (Ramona, California), Bachelors of Divinity from Vision Christian University (Ramona, California) and Masters of Theology from Calvary Christian International (Bakersfield, California). Today there is a demand for the type of leadership ministry and teaching that Dr. Orlando offers. He teaches on the subjects of Leadership Qualities, Gangs, Run with your Vision, and Facing Your Giants. These are just a few topics that Dr. Orlando ministers on, as he travels across the country and overseas. He has a fresh word and leaves you with wisdom and knowledge about topics that so many know little about. He will leave you laughing as he shares how he paid such a high price to live such a low life. Dr. Barela has been called an expert on gangs by Police Departments and community organizations. He teaches leadership from different perspectives and has been a life coach to many. Dr. Barela and his wife, Elizabeth, have been married for 34 years and they have 2 daughters: Rochelle, who has graduated from Cal State Fullerton, and is a Special Ed. elementary teacher, and Belinda, who works for a School of Doctors. For additional ministry information you may visit www.householdoffaith.org.